Buyer's Market? Seller's Market? Either way, if you are searching for a REALTOR® on Oahu to help you buy or sell real estate, you have found the right agent. Born in Manoa and based in Honolulu, Nedra Chung since 1990 has helped countless people, including foreigners, buy and sell condos, homes, foreclosures, vacant land and businesses throughout Hawaii. 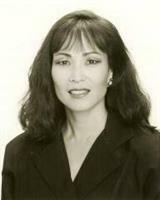 As owner / Principal Broker of Nedra Chung Realty, Nedra is able to address each individual case nimbly and innovatively. Nedra Chung Realty, LLC (RB-17077) is not affiliated with any national real estate brokerage franchise. If you are a Buyer or Seller doing an IRC 1031 Tax-Deferred Starker Exchange, Nedra can help you set the transaction up with an Exchange Intermediary Company and will monitor the Exchange. She is also experienced with Trust estate sales, probate sales, and working with off-island Buyers and Sellers. Finding a qualified Buyer or the property for you and putting it in escrow is just the beginning; Nedra will monitor the transaction through the escrow process until the transfer of title is recorded at the Bureau of Conveyances. Your inquiries and assignments are addressed with integrity and experience by a full-time Real Estate Broker advocating for you and applying her knowledge to help you reach your real estate goals. Equipped with the latest technological tools, Nedra puts you instantly in touch with Hawaii. Describe your real estate needs, dream, and vision. Let Nedra put 29 years of experience to work for you. She's here for you. Compare city profiles for demographics, crime, housing, etc. This Web site is updated daily. Bookmark this Web site to return for updates. Aloha! Although every effort has been made to provide correct information throughout this Web site, Nedra Chung Realty does not guarantee the accuracy or reliability of such information. Are you thinking of buying a home in the Honolulu, HI area? Finding the right home can be a difficult process but no matter what you are looking for as an experienced Honolulu, HI real estate agent I can provide you with the resources you need to make the home buying process simpler, from specific Honolulu, HI neighborhood information, to tools to estimate your mortgage payments, and buyer resources and articles that will help you through the home buying process. Thinking about selling real estate in the Honolulu, HI area? No matter which market you're in, you can use the marketing programs and experience of a qualified Honolulu, HI real estate agent like me to help sell your home quickly and at the right price. Learn more about my service, see information about recent home sales in Honolulu, HI, or contact me to get started today! Are you interested in more Honolulu, HI area details? Please take a minute and browse my local neighborhood and school details, real estate mortgage information and interactive maps for the Honolulu, HI market. Thank you for visiting www.alohanedrarealty.com! This is a one-stop real estate website for all your home buying and selling needs in Honolulu, HI. I’m a professional real estate agent who will help make your search for a new home an enjoyable experience. Please feel free to contact me directly if you have any questions about the Honolulu, HI real estate market, or buying or selling a home in Honolulu, HI. User-Friendly Real Estate Tools and Resources to get you started on your quest.